September is National Arthritis Awareness Month in Canada . . .
National Arthritis Awareness Month in Canada . . .
National Arthritis Awareness Program (NAAP) is in full force! September is turning out to be a transformative month for arthritis in Canada. The NAAP and its co-leaders, ARC and ACE, are excited to be key players in helping elevate arthritis awareness and the need to support Canada’s world-leading arthritis research efforts. In honour of Arthritis Awareness Month, the NAAP’s co-leaders, the Arthritis Research Centre of Canada (ARC) and Arthritis Consumer Experts (ACE) are excited to announce the launch of ArthritisID and ArthritisID PRO. ArthritisID and ArthritisID PRO are iPhone and iPod touch applications that help you detect, treat and manage arthritis. Eighty percent of Internet users look online for health information and treatment advice. Our research has shown a corresponding desire from primary care providers. The NAAP’s new arthritis apps are valuable mobile health tools developed in response to this demand. The apps, which can be downloaded for free at the iTunes store, bring the most current and accurate arthritis research together in one single place. You no longer have to spend hours online wading through endless websites, wondering if the information they contain is reliable. In ArthritisID, you may appreciate the “Doc Talk” section, which gives tips for speaking to your doctor or pharmacist about arthritis, joint pain, and arthritis prevention. And, from the “Arthritis Community” section you can link directly to online arthritis organizations and find ways to get involved. Continuing Medical Education (CME) activity accredited by the College of Family Physicians of Canada providing Mainpro® M2 Credits. Arthritis ID PRO is the only mobile arthritis app to include this feature. Five detailed, but short, videos that demonstrate appropriate techniques for conducting joint exams. They are performed by ARC rheumatologists Dr. John Esdaile (in English) and Dr. Diane Lacaille (in French). A unique feature of both apps is an interactive screening tool that asks several questions, and from the responses can suggest a type of arthritis. The raw material for the screening tool comes from the arthritis point-of-practice tool created in the first year of the NAAP. The point-of practice tool incorporates the most recent classification criteria for rheumatoid arthritis (RA) by the American College of Rheumatology and new osteoarthritis knowledge from Osteoarthritis Research Society International (OARSI). To round out the research, we consulted with the Canadian Rheumatology Association, The Arthritis Society, and Dr. Gillian Hawker who provided input from OARSI. Following the screening result, the apps connect you to the “Arthritis Types” section to read “Spotlights” and “Red Flag” indicators of each of the seven types of arthritis covered in the apps. Here, you will also find detailed information about treatment strategies. This section lists medications typically used to treat a form of arthritis, and provides self-care and prevention strategies to support healthcare professionals and patients in making decisions about what to do to maintain or improve health and manage living with osteoarthritis, ankylosing spondylitis, psoriatic arthritis, lupus, gout, RA, and juvenile idiopathic arthritis. From organizing educational lectures and pub­lic forums to producing webcasts and YouTube videos and developing digital “games”, and now Smartphone apps, ACE and ARC are committed to delivering patients, the public, and healthcare providers the information they need in ways they want. Tell people about the apps! Your friends and family can learn a lot too, and perhaps understand more what you are going through. In its first two years, the NAAP grew to become a leading source for trusted, timely arthritis knowledge through exciting new communication channels. To learn more about the NAAP, please visit www.arthritisiscured.org. The demand for information parallels the need for arthritis research in Canada. Approximately 4.5 million Canadians live with one of the more than 100 types of arthritis — in less than 20 years, the number will be 7 million. Today arthritis accounts for one in ten doctor visits and one in 16 hospital stays. In stark contrast to the need, arthritis only receives three percent of research dollars in Canada. Jayne MacAuley tells ACE what she has learned about arthritis through her role as a senior editor with Zoomer Magazine. Jayne doesn’t have arthritis. Before she started working for Zoomer Magazine, all she knew about the disease was through her work as a lab technologist years ago, where she did blood tests for rheumatoid factor. Rheumatoid factor, an antibody produced by the immune system, can attack healthy tissue. She did not realize until she started doing research for Zoomer, that arthritis encompasses so many diseases beyond rheumatoid arthritis and osteoarthritis, such as lupus and gout. She certainly had no idea how painful arthritis is and how it can lower the quality of someone’s life. As a senior editor researching health articles for Zoomer, Jayne has become more attuned to a world with arthritis. Now she sees arthritis all around her. She has a friend who was diagnosed with rheumatoid arthritis when he was 39. As she got to know him, she discovered how tough it has been on him. When he was diagnosed, he had two young children and his wife had to go back to school so she could work . . . because he could not. Prednisone is fast acting, so it is often used as a therapy while a patient waits for DMARDs, which act more slowly, to work. Low doses may slow joint damage, especially used in combination with other DMARDs, but more than five months of continuous prednisone therapy may increase the risk of osteoporosis. He’s had both hips replaced and has been taking prednisone for many years. Prednisone treats the symptoms, but is less effective than disease modifying antirheumatic drugs (DMARDs ) or biologics for slowing joint damage. His determination has served him well; however, if he had received his diagnosis today, he would have more treatment options and might have avoided hip replacement surgeries. And, through arthritis awareness programs like the National Arthritis Awareness Program, Arthritis is cured! (if you want it), he would find more up-to-date information about arthritis and a greater sense of empowerment. All of these things lead to better outcomes for people living with the disease. Jayne also sees how the pain and discomfort of rheumatoid arthritis interfere with a music teacher’s ability to play instruments and do her job. Likewise, Jayne has witnessed the suffering her mother-in-law went through due to the pain of osteoarthritis in her shoulders. The hardest thing, she says, is watching arthritis slow people down, and not being able to help. Seeing what her friends and family go through, she feels blindsided by the disease. From observation, she has learned the best thing people with arthritis can do is to keep themselves comfortable . . . and to keep moving. ACE has one thing to add: learn all you can about your disease because knowledge is power . . . and empowerment. Zoomer Magazine partnered with ACE and the Arthritis Research Centre of Canada (ARC) for Year Two of the Arthritis is cured! (if you want it) National Arthritis Awareness Program, to help raise awareness with its readership. Its readers are active people over 45, often referred to as the “boomer” generation. A celebrity endorsement of a disease or serious public health issue can be a powerful and positive tool for raising awareness and funds. Consider what Michael J. Fox has achieved for Parkinson’s awareness and research funding. Another hope is that the celebrities will inspire people, who may be reluctant to seek diagnosis or treatment, to get more screenings and checkups for common and often treatable medical conditions. The early diagnosis message is an extremely relevant one for arthritis and other diseases to slow or prevent long-term damage. What we know from reports like The Public Health Agency of Canada’s “Life with Arthritis in Canada” is there are thousands of Canadians who go untreated for arthritis because they lack information. In the past 6 months, a number of high profile athletes have gone public about living with arthritis. Their stories have led to an increase in public discussion and in media coverage of one of the most prevalent but lower profile diseases in North America. In the spring of 2011, golf pro Phil Mickelson helped launch a public awareness campaign for inflammatory arthritis. It was created in collaboration with Amgen, Pfizer, and the Joint Smart Coalition, which includes the Arthritis Foundation and the National Psoriasis Foundation. ACE contacted Mr. Mickelson, whose representatives shared his story, a familiar sounding one for many people living with arthritis. A few weeks before the 2010 U.S. Open, Mickelson began to experience severe joint pain. Even his regular practice routine suddenly became difficult to endure. Mickelson’s aches and pains got so excruciating that he could barely get out of bed, never mind swing a golf club. Mickelson immediately went to see a rheumatologist, who diagnosed him with psoriatic arthritis, a chronic, inflammatory arthritis caused by an overactive immune system. Symptoms and signs include stiffness, pain and swelling of joints, reduced physical function and reduced quality of life. It usually hits those in their 30s and 40s. Mickelson’s endorsed program “On Course with Phil” is meant to educate people about chronic inflammatory conditions and encourage people to get checked if they have any symptoms. 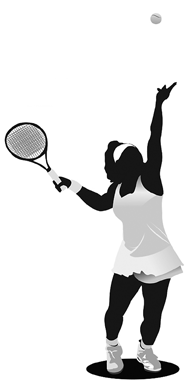 During this year’s U.S. Open in September, seven-time tennis Grand Slam winner Venus Williams announced her withdrawal due to the effects of Sjögren’s syndrome. Sjögren’s is a disease in which immune cells destroy the glands that lubricate mucous membranes. This may cause dry eyes, mouth and throat; half of people with this syndrome will develop arthritis. Billie Jean King, the 12-time Grand Slam singles winner and cofounder of World Team Tennis, is 67 year of age and has been living with osteoarthritis since she was in her 20s. Both her knees were replaced last year. The new campaign wants people to refuse to accept pain and the limitations of arthritis on their lives. The program, in an urgent and hard-hitting way, encourages baby boomers 55 and older to take action now to prevent the progression of arthritis. Research conducted last November among adults age 40 and older by Harris Interactive for the US Ad Council found that only 16 percent of those with arthritis were very confident they could manage their pain. The research also found that while 58 percent believed taking medication is the most effective way to relieve arthritis pain, only 45 percent thought regular exercise was an effective way to reduce this pain.